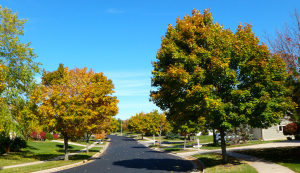 Listed below are homes for sale in High Point Estates, a neighborhood located in Southwest Madison, WI. Listings are updated multiple times a day from the SCWMLS. For more information about any of these High Point Estates homes for sale, just click the "Request More Information" button when viewing the details of a property. We can provide you with disclosures, past sales history, dates and prices of homes recently sold nearby in Madison, and more. And, for your convenience, register for a free account to automatically receive email alerts whenever new High Point Estates listings come on the market that match your search criteria. High Point Estates is perfect for home buyers who want a private residential community on Madison’s west side. Commercial districts along Gammon Road and Watts Road are short walks away from the community. Sidewalks, trails and greenways make those walks from High Point Estates to retailers and restaurants in the area even more enjoyable. 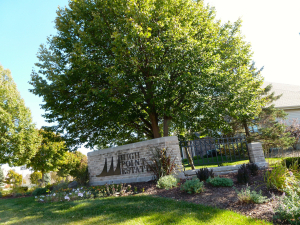 High Point Estates’ shares a southern border with Elver Park, which adds to its quiet, secluded atmosphere. But that doesn’t mean neighbors aren’t friendly and familiar. Flamingo parties, holiday parades, community garage sales, couples bowling, dinner events and ladies luncheon groups offer many opportunities to engage with neighbors. 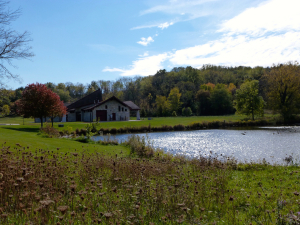 High Point Estates was developed on 145 acres of rolling farmland in southeast Madison in the early 1990s. 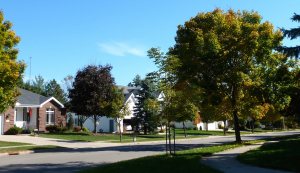 Fewer than 300 single-family homes line the streets of this quiet community. Many of the homes were built on cul-de-sacs, which cuts down on through traffic and fosters its quiet, private atmosphere. Condominiums and town homes in the neighborhood’s southwest corner offer additional housing options. Elver Park is located directly south of the neighborhood, and a portion of its northern border is shared with High Point Park. That offers residents access to bike paths and plenty of year-round outdoor activities. Shopping and dining options abound close to High Point Estates. Gammon Road, located east of the community, offers a variety of retailers and restaurants. West Towne Mall is about a mile from the community, and Hilldale Mall is about five miles away. Closer to home, neighbors enjoy Madison’s premier sledding hill at Elver Park, as well as an 18-hole Frisbee golf course, basketball courts and an attractive pavilion. High Point Estates is close to surrounding communities, too. Downtown Madison is about eight miles away, and Middleton is less than five miles away in the opposite direction. Verona is also about five miles away. Children who live in High Point Estates attend school in the Middleton-Cross Plains District. For information about finding a home in the High Point Estates neighborhood or to sell your High Point Estates home, contact our team for a better real estate experience. High Point Estates neighborhood is located on the South West Side of Madison in MLS area Madison – W08. Below are more homes for sale in that area.